I believe that if you’re going to have an empowered company, you must have empowered employees. In this industry, new ideas drive customer solutions. I believe that if you’re going to have an empowered company, you have to have empowered employees. In this industry new ideas drive customer solutions. So, if someone on the team has an idea that they feel passionate about, I say, let’s take it for a test drive. 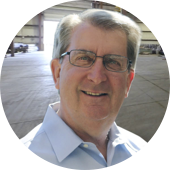 Doug Anderson started his career in the metals industry in 1974 as an inside salesperson with a service center in Chicago, IL. After a short while, he decided he wanted more customer interaction. Doug left the service center and went to the mill side as an outside steel tube salesperson. He learned the ropes first with a mechanical tube producer and then with a structural tube producer calling on accounts within the Midwest. His next endeavor put him back in a service center role but added on experience working for an import/export company involved in all aspects of the metal industry business throughout the United States. The collective involvements of tubing and service center sales, and his import/exporting knowledge was the ground work for his real dream. In 1995, Mr. Anderson had the opportunity to open his own metals service center company. His father operated the first ANCO Steel Company which was opened in 1958 as a supplier of special bar quality products. As a tribute to his family, Doug revived the family name and the ANCO Steel Company, Inc. was again operating in the steel industry. With the help of industry veterans Doug has brought together over the years, the company has grown to four warehouses and a separate corporate office. Doug Anderson continues to be very active in many industry associations and has served in a board of director capacity in the past. Doug’s steel industry knowledge and history of contacts acquired, both as a vendor as well as customer-level, enable him to match the correct product with the appropriate customer. Cheryl L. Anderson has accrued over 35 years of executive-level management and leadership experience in the field of corporate administration and human resource management. 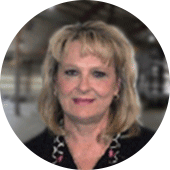 From 1982 through 2014, Cheryl worked in corporate administration starting in the early days as a receptionist, to working in the marketing department, to becoming the Director of Administration and co-owner of a construction cost management and owner representative company. She was responsible for the structure, implementation, and maintenance of the functions of corporate/office administration and the human resources departments. After a short hiatus, Cheryl became ANCO’s Administration Manager in 2015. Her responsibilities in administration and HR led her to become Director of Administration in 2017. Her broad experience provides the guidance and overseeing of company policies and procedures and coordinates overall organizational planning of ANCO’s corporate/office administration and human resources departments. This includes business insurance administration, HRIS, talent acquisition, compensation and benefits administration, performance management, employee relations, safety program as well as management development, training, and succession planning. Identifies opportunities for improvement and resolves discrepancies. 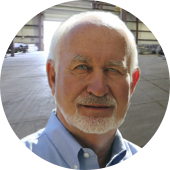 Curt Anderson is a steel industry veteran with forty-seven years of Supervisor and Operations Management experience. He started his steel career working for an integrated steel producer as a Shift Supervisor overseeing the steel melting process while cutting his teeth in a management position. From there he moved on to managing it’s rolling line which added a new look at employee safety. He was then put in charge of heat treating, finishing and shipping of products. He worked all operating levels through time, increasing levels of responsibility including plant manager of six facilities. He was also Director of Operations of an integrated steel plant and of cold finished bar operations. Curt brings to ANCO Steel extensive knowledge of safety, quality management systems and operations management. His various supervisor roles developed his unique management style that leads to a primary focus on worker growth and enhanced safety. The byproduct of this approach supports ANCO Steel’s core strategy of empowering employees which leads to improvement in quality, efficiency and operations.